Psychotherapy is a general term for interpersonal and relational intervention of treating mental and emotional disorders by engaging clients to vocalize their condition and related issues with a mental health professional. Psychotherapists employ a range of techniques focusing on experiential relationship building, communication and behaviour modification. This often includes alleviation of distress, an increase in individual sense of well being and reduction of subjective discomforting experiences. All these are designed to improve the mental health of a client, or to improve group relationships. Students will learn the fundamental theories and skills of counselling. They will be introduced to the various components of counselling such as questioning and responding skills. Students will understand the professionalism and ethical principles of being a therapist. Students will further learn the fundamentals of mental illness. This module introduces the students to the fundamental theories of psychotherapy. The module looks at a number of theories such as the psychoanalytic theories of Freud, the humanistic approach and REBT to name a few. Students will be taught the fundamental skills of a therapist such as listening, attending and responding skills. Students will further learn questioning techniques to be able to interact with clients. This module will provide students with the understanding and applicability of psychotherapy and counselling to successfully implement this professionally and in other areas of development such as personal, life, relationships, workplace and family. 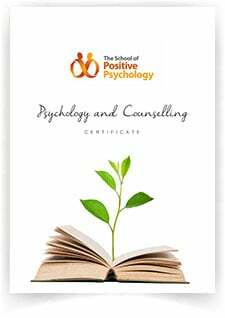 Upon completion of the Certificate in Counselling, students can advance to the Diploma in Applied Positive Psychology or Psychotherapy with 1 exemption.